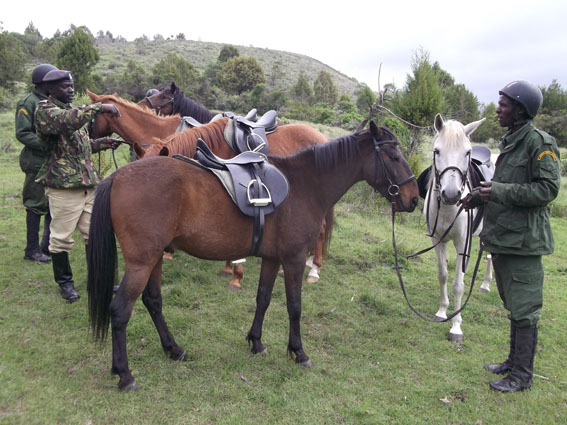 The Mounted Horse Patrol team has undertaken daily patrols within the Forest Reserve and adjoining areas. In addition to the destruction and collection of snares used to capture both large and small wildlife, the team reports forest crime and has assisted in making arrests. 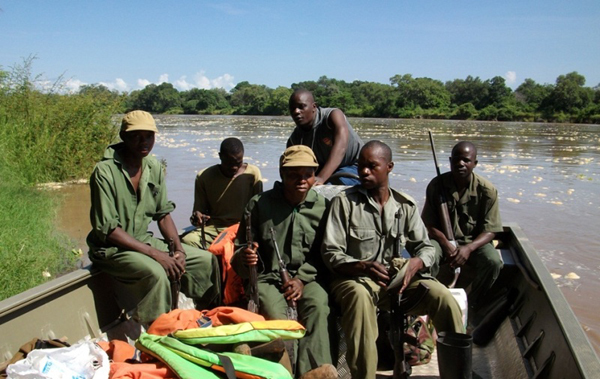 In early 2011, IEF support assisted Game Rangers International (GRI) to procure a custom built Patrol Boat in order to provide an increased level of presence on Lake Itezhi Tezhi, which forms the northern boundary of Kafue National Park. In the past, poachers posing as fishermen have taken advantage of the porous nature of this natural boundary and gained unimpeded access into the Park. As a result, poaching along the lake shore and within a five (5) kilometer radius of the lake shore has been high and continues to be a current threat. The Patrol Boat and trained staff can now have a regular presence on the lake to deter or intercept poachers. In addition the Patrol Boat allows GRI to support Zambian Wildlife Authority and the local communities to improve relations with local fishermen and therefore gain valuable intelligence and information regarding the movements and modus operandi of the lake shore poachers. Rehabilitation of Erin field camp – Erin camp has been repaired and refurbished and is being actively maintained. Engagement of the State Government Authorities – In partnership with the Nigerian Conservation Foundation, the State Government Authorities have been actively and frequently engaged. A letter of support has been obtained from Ogun state and is expected shortly from Ondo. Solutions within Osun are still being sought. 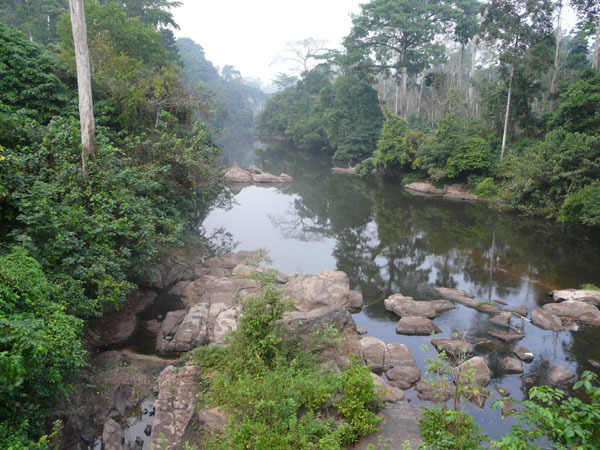 Eventually Omo-Shasha-Oluwa is expected to be a managed as a wildlife sanctuary (under IUCN Protected Area Category IV) with several objectives that are aimed at protecting biodiversity but permitting human use where this is compatible with forest conservation. The management plan will guide and control the management of the forest’s resources, the use of its different areas and development of facilities required to support these uses. Children of today will be the conservationists of tomorrow. Without their awareness and involvement, elephant conservation will be a difficult challenge in many parts of its range. In Burkina-Faso and West Africa, the human population is growing fast and will probably triple by 2050. In the decades to come, there will be great need of creativity and motivation to achieve peaceful human-elephant coexistence. 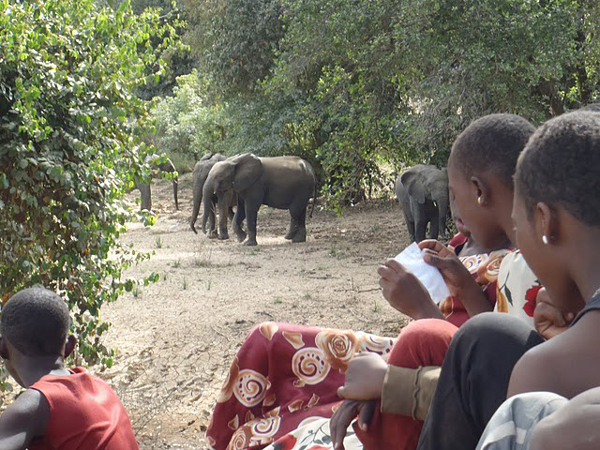 Exposing children to their elephant neighbors in a positive manner is the most effective way to involve them and their families in long-term elephant conservation. Our philosophy is very simple: one protects what one appreciates and one appreciates what one knows intimately. The statistics of our program over the years clearly show that over 80% of the children who were offered the program had never seen an elephant before. In order to protect the local elephants in the future, children need to be positively exposed to them, preferably directly or at least indirectly, so that they will be part of their thoughts for the future. We are glad to see that the preliminary results of an independent research study on the impact of the program showed that exposing children changes their perception of elephants for the better. 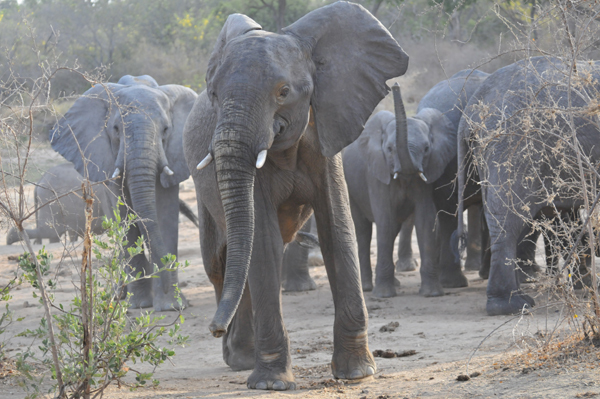 Yankari Game Reserve contains the largest surviving elephant population in Nigeria, and one of the largest remaining in West Africa. Estimated at about 350 individuals, this population is perhaps the only viable population remaining in Nigeria. Yankari also supports important populations of lion, buffalo, hippo, roan, and hartebeest. Managed as a national park from 1991 to 2006, Yankari is currently operated by the Bauchi State Government as a game reserve. Since 2006, management of the reserve outside the main tourist camp has been neglected and under-funded. As a result, levels of poaching increased substantially and there was a resurgence of the illegal ivory trade. With technical support from Dr. Rich Bergl of the North Carolina Zoo, a CyberTracker-based monitoring system was established in July 2009. Together with the provision of equipment and payment of camping allowances for rangers on overnight patrol, this system has increased both the frequency and coverage of anti-poaching patrols, and a number of arrests have been made as a result. The CyberTracker system has allowed close monitoring of the frequency, duration, and extent of ranger patrols. As a result, it has been possible to clearly see when and where patrols are conducted. The CyberTracker system has documented an improvement in patrolling, but it has also highlighted a number of key areas within the reserve that have been neglected by rangers. More work is also needed to engage with the rangers based at a number of ranger posts on the edge of the reserve. In addition to the anti-snaring teams, SLCS scouts are also being trained by one of our partners, the Zambian Carnivore Program in field research and data collection techniques. 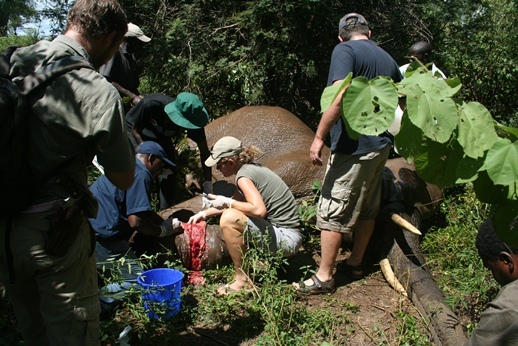 While the direct and immediate benefits of anti-poaching work to wildlife conservation are obvious, one lesser recognized conservation benefit not typically associated with these activities is their contribution to wildlife research. Scout patrols cover immense areas of remote and road less land throughout the year, recording wildlife sightings, documenting animal carcasses, and detailing poaching activity in addition to conducting law enforcement work. Data from sightings, the location of snares and poached animals, as well as biological samples from carcasses and from animals immobilized for snare removal can all provide invaluable data on a species’ presence, distribution, disease exposure, genetics, diet, movements and migratory patterns to name just a few uses. All of this information can then be incorporated into evaluations of a species’ dynamics, threats to its survival, and areas of high risk and conservation value. In recognition of this SLCS has increasingly teamed with the Zambian Carnivore Program to enhance collaboration and coordination in anti-poaching and wildlife research to benefit conservation. Poaching threat has significantly increased in northern Kenya over the past two years, however, within the network of community conservancies the proportion of illegally killed elephants in 2010 was held relatively constant at approximately 30%; whereas outside the network of conservancies the proportion of illegal killing was almost 90%. The increased threat to elephants outside the areas frequently patrolled by conservancy rangers is evident, thus the need for an effective and highly mobile antipoaching team to work in areas not covered by the conservancies. In 2010, the International Elephant Foundation awarded NRT with a grant of USD 20,000 to help fund a new Joint Conservancy Anti-Poaching Team; a specialized, mobile, rapid-response team made up of rangers from the NRT conservancies. The NRT joint antipoaching team has been operating predominantly in the remote areas that are not easily reached by conservancies and in parts of the landscape which are subject to high levels of civil insecurity. The joint anti-poaching team has been instrumental in uncovering and addressing poaching as it occurs, in collaboration with the Kenya Wildlife Service and community conservancies. The focus of the Waterways project in QEPA has been on building and making operational four marine ranger stations, at: Mweya, Rwenshama, Kashaka –and most recently Kamulikwezi. 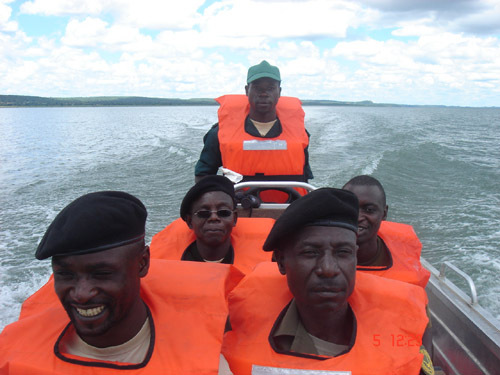 The stations (buildings, patrol boats, engines and equipment) have been handed over to Uganda Wildlife Authority (UWA) and more than 30 rangers have been trained in boat handling and operations. UWA’s deployment of boats on a daily basis on anti-poaching patrols is having a significant impact on the ability of law enforcement to reverse elephant and hippopotamus poaching and clamp down on illegal fishing practices. Controlling the waterways is critical to QEPA’s economic and social future, not to mention its flora and fauna in terms of countering bushmeat smuggling and ivory trafficking from the DR Congo. The Waterways project in Central and Northern QECA provides key infrastructure and operational capacity to support law enforcement activities in conjunction with the new Kasese Ranger post. The success of the Waterways project and its ability to tackle illegal activities on remote land areas via water access, is a key element to our efforts to recover the 400km² Kibale Corridor, an area that is fiercely poached, virtually inaccessible and in dire need of greater protection and improved access.